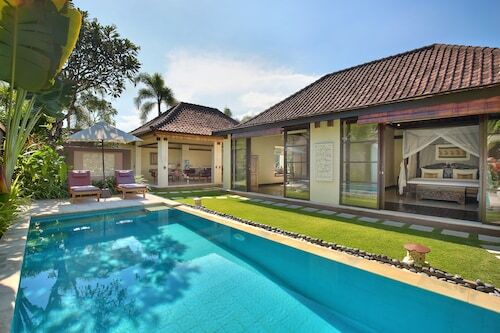 Located in Sunset Road, this luxury villa is within 1 mi (2 km) of Sunset Point Shopping Centre and Eat Street. 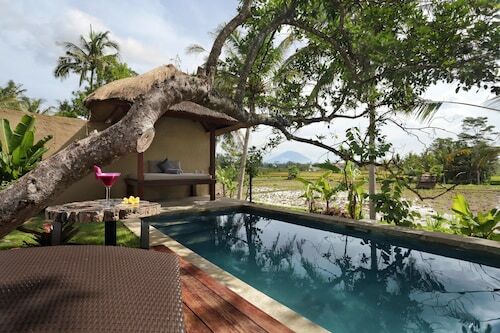 Seminyak Beach and Double Six Beach are also within 2 mi (3 km). 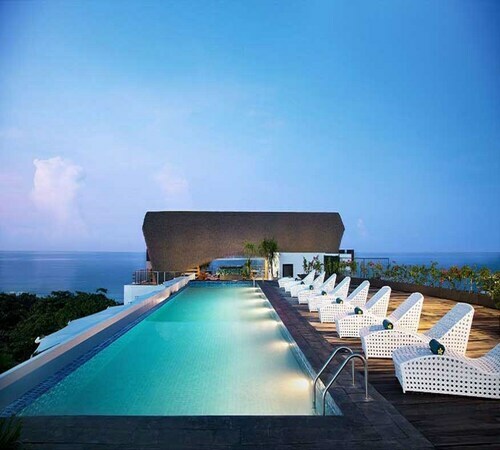 Situated near the beach, this spa villa is close to TAKSU Bali Gallery, Petitenget Temple, and Petitenget Beach. 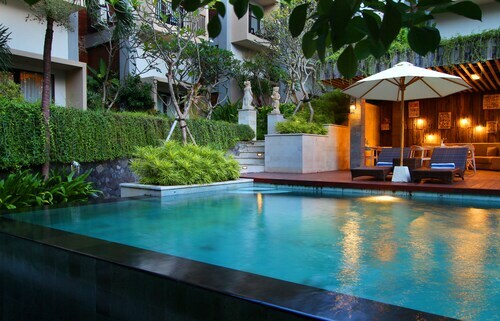 Also nearby are Seminyak Square and Seminyak Beach. 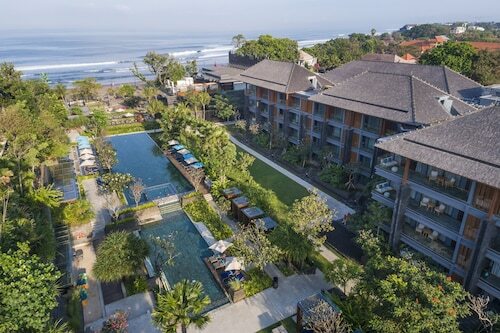 Offering direct access to the beach, this Downtown Kuta aparthotel is in the entertainment district and within a 10-minute walk of Kuta Beach and Beachwalk Shopping Center. 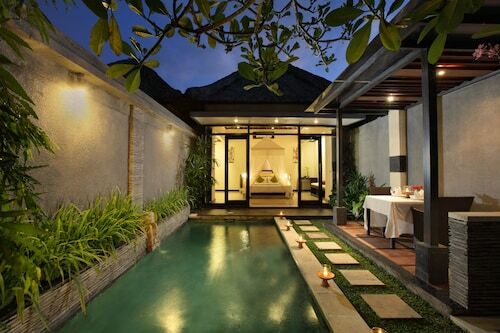 Situated in Ubud, this spa villa is within 1 mi (2 km) of Pura Desa, Ubud Royal Palace, and Ubud Traditional Art Market. Ubud Monkey Forest and Campuhan Ridge Walk are also within 3 mi (5 km). 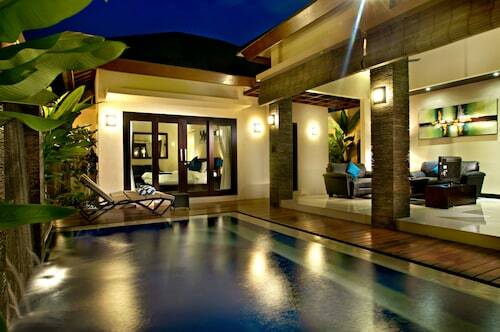 Located in Laksmana, this luxury villa is within a 5-minute walk of Gado Gado Beach and Seminyak Beach. Eat Street and Double Six Beach are also within 15 minutes. 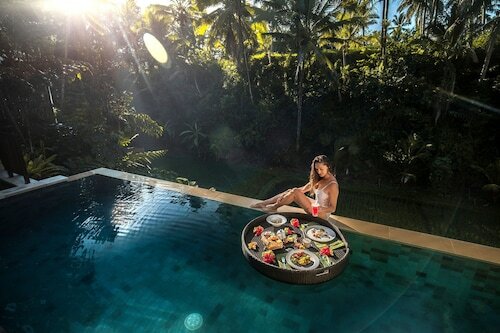 Located in Nakula, this spa villa is within 1 mi (2 km) of 3D Trick Art Museum DMZ, Double Six Beach, and Seminyak Beach. Legian Beach and Eat Street are also within 1 mi (2 km). 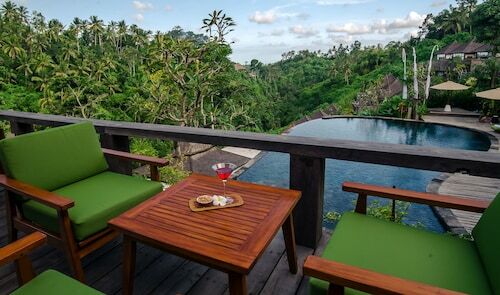 Situated in Ubud, this romantic villa is within a 10-minute walk of Blanco Museum and Campuhan Ridge Walk. Ubud Royal Palace and Ubud Traditional Art Market are also within 1 mi (2 km). 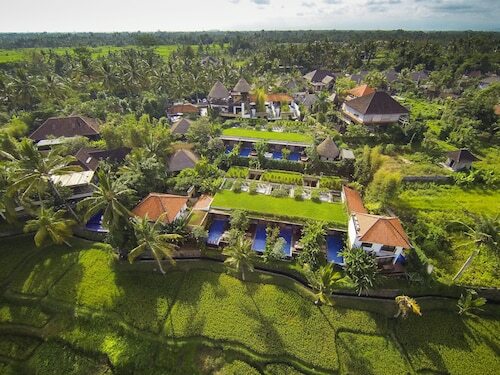 Situated in Ubud, this villa is within 1 mi (2 km) of Agung Rai Museum of Art and Ubud Monkey Forest. Ubud Traditional Art Market and Ubud Royal Palace are also within 2 mi (3 km). 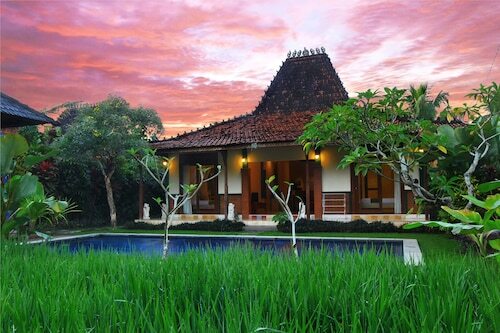 This family-friendly Ubud villa is within 1 mi (2 km) of Neka Art Museum and Gaya Art Space. Campuhan Ridge Walk and Ubud Royal Palace are also within 3 mi (5 km). 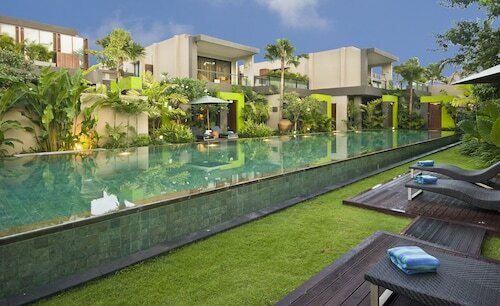 Situated near the beach, this villa is within 1 mi (2 km) of Sunset Point Shopping Centre, Eat Street, and Seminyak Beach. 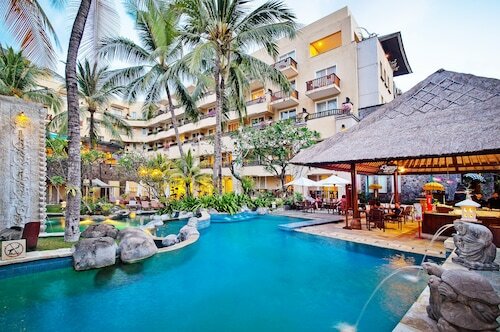 Seminyak Square and Double Six Beach are also within 2 mi (3 km). 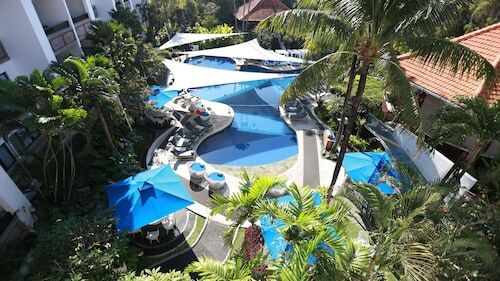 Located in Umalas, this spa aparthotel is 1.2 mi (1.9 km) from Finns Recreation Club and within 3 mi (5 km) of Seminyak Beach and Eat Street. 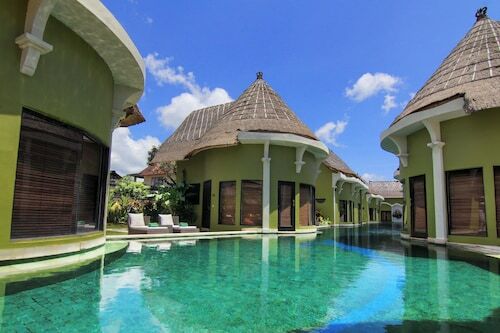 Seminyak Square and Double Six Beach are also within 3 mi (5 km). 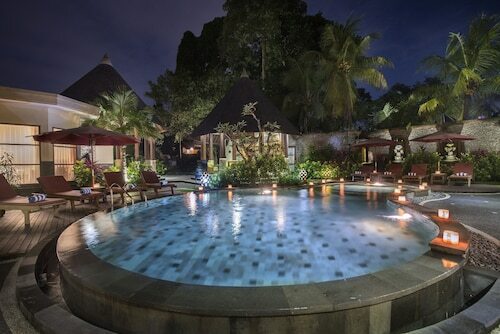 This family-friendly Denpasar aparthotel is located near the beach, within 1 mi (2 km) of Sanur Night Market and Sanur Beach. Pantai Karang Beach and Sindhu Beach are also within 1 mi (2 km). 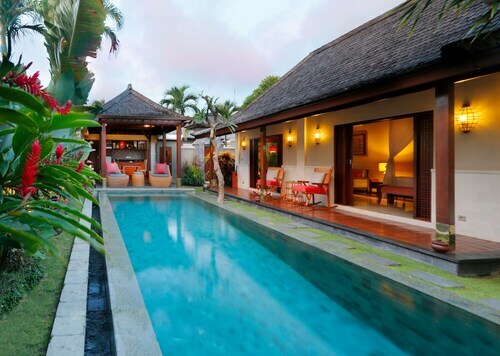 Situated in the entertainment district, this luxury villa is within a 15-minute walk of Eat Street, Seminyak Beach, and Seminyak Square. 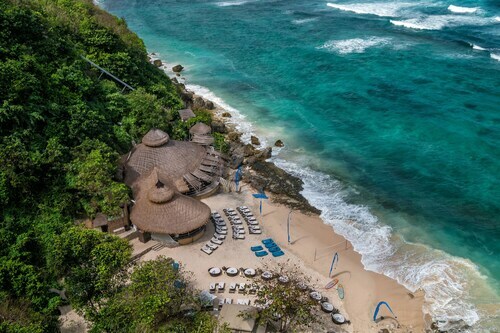 Double Six Beach and Legian Beach are also within 2 mi (3 km). 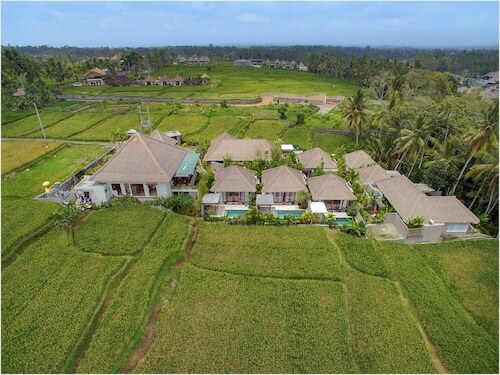 Nestled on the beach, this Ungasan villa is within 6 mi (10 km) of Garuda Wisnu Kencana Cultural Park, Pandawa Beach, and New Kuta Golf. Dreamland Beach and New Kuta Green Park are also within 6 mi (10 km).